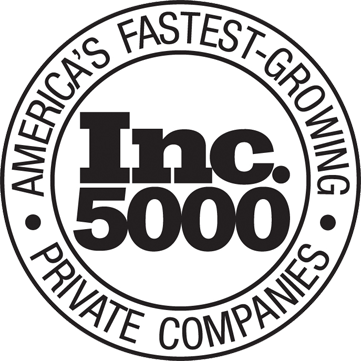 Most sizes in stock and ship same or next day via 2nd day UPS. Select sizes will be custom cut and ready in ~10days. Update 3/24/19: Sale of our Phoenix Moissanite have been jumping as we've improved the cutting to a more perfect H&A, while offering it at the same pricing. 6.5mm are now sold out - we will be restocking in roughly 10 days and restocking finished 1ct each ear 4 prong studs ,as well as having loose 6.5mm ready to ship. 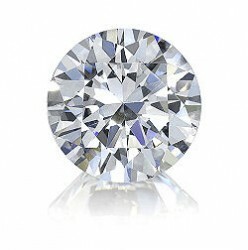 Phoenix Moissanite is our unique brand that provides an optimal mix of beauty and value (price). Effectively, Phoenix offers 85%+ the beauty of an Amora but at less than half the price of an Amora. For stud earrings, fashion rings, etc. Phoenix provides an amazing amount of scintillation, brilliance and fire at pricing that can't be beat! Above: Phoenix 9mm H&A in the sunlight. Our Amora Gem was designed and produced to be the Ultimate Gem. 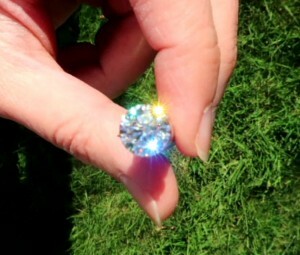 Thus every option was chosen to maximize the total beauty of the finished Amora Gem. For Phoenix, we went a different path and tried to optimize for both beauty and cost, thus providing a lower cost option, perfect for scenarios where max sparkle for the dollar pays off. Example- fashion earrings studs don't necessarily need independent grading, faceted girdles, Super Ideal cutting, etc. The interesting result after conducting customer testing using three gems was unanimous and provides insight into the relative comparisons. Customers were shown a 2ct Amora Super Ideal Eternity H&A, 2ct Phoenix H&A Moissanite, and a 2ct Forever One H&A Moissanite. 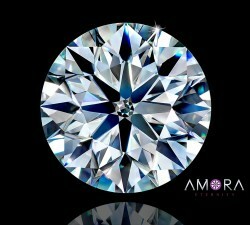 In every case, customers immediately selected the Amora and noted it was the most beautiful. Next however, customers were unable to differentiate between the Charles and Colvard H&A Moissanite and the Phoenix Moissanite, noting that they "looked the same". 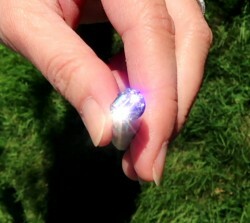 In sunlight, the Phoenix slightly outperforms the Forever One Moissanite -this is likely because the Forever Ones have badly rounded faceting, which reduces fire. However, there is one big difference, - Phoenix is $220-$249/ct, vs Charles and Colvard averages $400-$600/ct depending on where you purchase. Thus, Phoenix comes in at up to half the price for a look that customers couldn't differentiate and that outperforms in brighter lighting. 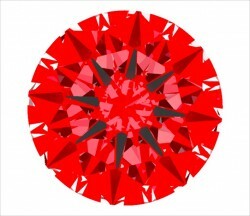 Thus, when the Ultimate Gem isn't needed, we feel Phoenix presents an incredible value/beauty option - and a significant upgrade over the CZ's in the world! Please see "Other Details" tab for current in-stock inventory. All other sizes shown are available to be ordered and will ship out within approximately 10 business days.